This home is Classic Architecture with truly a brilliant mix of Mid-Century Modern furniture. 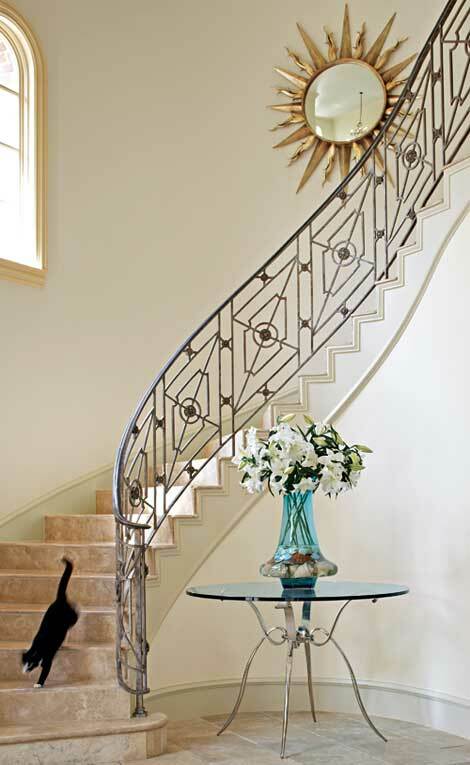 Interior Designer Mary Anne Smiley pulled this fantastic home together for the Perrys, young newly weds in Dallas. I saw this room in Traditional Home last year and I still love it. William Switzer sofas, Kelly Werstler carpet and Barcelona chairs ~ Brilliant! Young and Fresh, yet still Sophisticated and Timeless. Somehow a perfect balance has been achieved. Next postPorches, Patios & Decks ~ Oh My!